Sorry guys, still feeling like junk. I thought I was feeling better and then it kind of went downhill again and then today I'm maaaybe feeling better but it's too early to call it either way. I think I brought a fun little stomach buggy home with me from my trip. Not cool, Belize. Not cool. 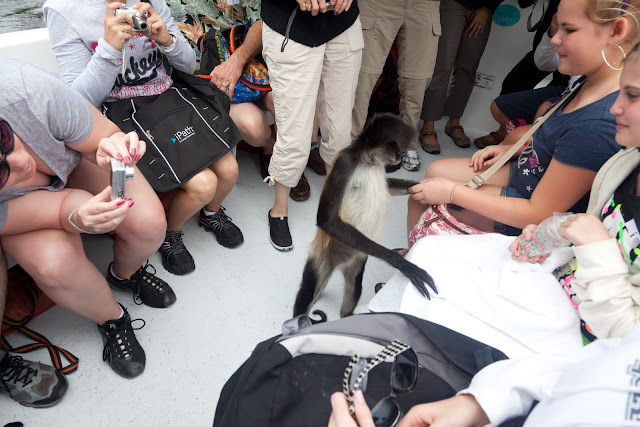 However, Belize DID give us a monkey that climbed on to our boat as we wound our way upriver to check out some incredibly awesome Mayan ruins. So I might forgive. Maybe. I have to think about it.